19th Annual Holiday Ale Fest This seasonal suds fest that's taking over Pioneer Square runs for four days with more than four dozen wintry local brews, food vendors, beer and cheese pairings, and best of all, a Sunday Beer Brunch. 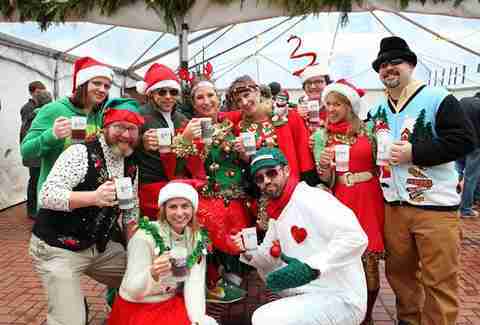 19th Annual Holiday Ale Fest Pioneer Square This seasonal suds fest that's taking over Pioneer Square runs for four days with more than four dozen wintry local brews, food vendors, beer and cheese pairings, and best of all, a Sunday Beer Brunch. Refuge’s 4th annual Holiday Party You’ve heard us say it before, but Portland’s favorite Dirty Bird, Claude VonStroke, is back in town for Refuge’s 4th annual Holiday Party! Refuge’s 4th annual Holiday Party Refuge You’ve heard us say it before, but Portland’s favorite Dirty Bird, Claude VonStroke, is back in town for Refuge’s 4th annual Holiday Party! America’s Largest Christmas Bazaar At a loss for what to give your friends and family? Head to America’s Largest Christmas Bazaar for an eclectic mix of holiday delights. America’s Largest Christmas Bazaar Expo Center At a loss for what to give your friends and family? Head to America’s Largest Christmas Bazaar for an eclectic mix of holiday delights. 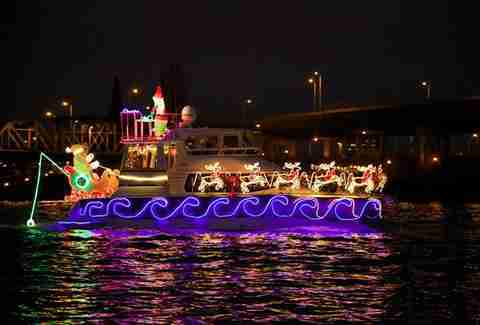 60th anniversary of the Christmas Ships Check your local calendar to find the best time to see the 60th anniversary of the Christmas Ships that come up the river to wow you with their stunning displays of illumination. 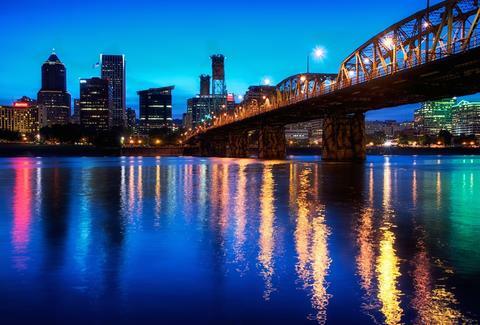 60th anniversary of the Christmas Ships Willamette and Columbia Rivers Check your local calendar to find the best time to see the 60th anniversary of the Christmas Ships that come up the river to wow you with their stunning displays of illumination. Red-nosed Singalong Ride Can you believe it’s been 50 years since the stop motion animation classic Rudolph the Red-Nosed Reindeer was first telecast? Take this 5mi bike ride/sing-along to celebrate it. Red-nosed Singalong Ride Downtown Can you believe it’s been 50 years since the stop motion animation classic Rudolph the Red-Nosed Reindeer was first telecast? Take this 5mi bike ride/sing-along to celebrate it. Holiday Bazaar at New Deal Need to get a gift for a loved one? Hit up the holiday bazaar at New Deal because, really, booze is all anyone should ever need for Christmas! 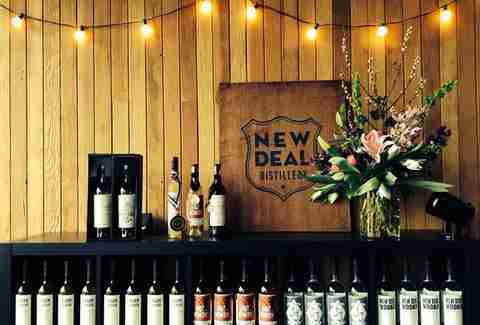 Holiday Bazaar at New Deal New Deal Distillery Need to get a gift for a loved one? Hit up the holiday bazaar at New Deal because, really, booze is all anyone should ever need for Christmas! 5th Annual Masquerade Ball Feeling a bit naughty? Hit up the 5th Annual Masquerade Ball, this time with one of the finest DJs around, RJD2! 5th Annual Masquerade Ball Branx Feeling a bit naughty? Hit up the 5th Annual Masquerade Ball, this time with one of the finest DJs around, RJD2! 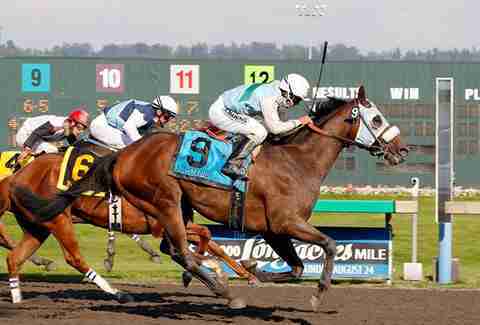 Oregon Championship Day & Oregon Beer Fest As if nice races boasting horses born in Oregon wasn't enough, PM is also hosting a suds fest with more than twenty beers from Oregon's finest brewers, all of which you can consume within full view of the ponies. Oregon Championship Day & Oregon Beer Fest Portland Meadows As if nice races boasting horses born in Oregon wasn't enough, PM is also hosting a suds fest with more than twenty beers from Oregon's finest brewers, all of which you can consume within full view of the ponies. Peacock Lane It’s just not Christmas until you take a stroll down Peacock Lane, the best/only neighborhood light show in town. 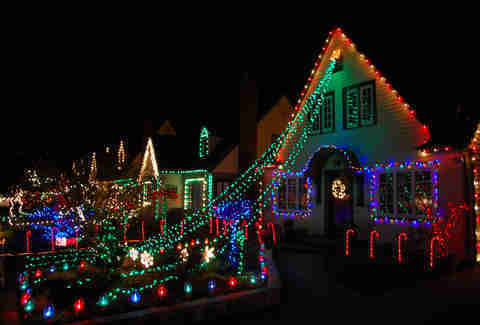 Peacock Lane “Peacock Lane” SE 39th It’s just not Christmas until you take a stroll down Peacock Lane, the best/only neighborhood light show in town. Willamette Week’s Holiday Marketplace Willamette Week’s Holiday Marketplace at Mississippi Studios is providing you with yet another chance to get some local goods before its too late. Willamette Week’s Holiday Marketplace Mississippi Studios Willamette Week’s Holiday Marketplace at Mississippi Studios is providing you with yet another chance to get some local goods before its too late.